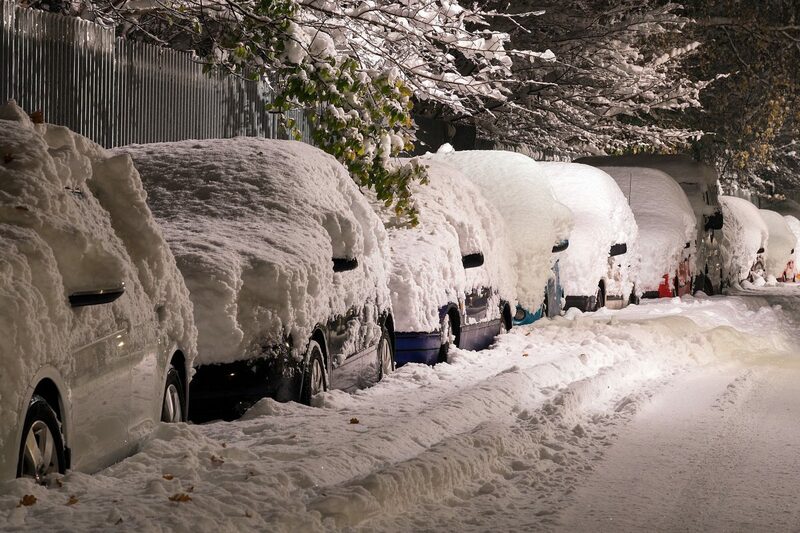 Winter can be a tough season for those in the multifamily industry. To the surprise of, well, no one, people don’t like moving in the winter. There is snow on the ground in many parts of the country, kids are already halfway through their school year, and fewer people are changing jobs. Plus, navigating through the physical moving process in cold weather adds stress to an already stressful situation. All of those factors add up to winter being the slowest time for apartment leasing. However, it’s not hopeless. It just takes a some extra creativity with your apartment marketing ideas and campaigns. Regardless of time of year, there are always people moving. Whether for a job change, relationship change, retirement, or simply for fun, people will move when it makes the most sense to move — even if that’s in the dead of winter. This time of year, it’s just harder to find and attract them as the number is vastly lower than any other time of year. While the holidays bring in their own set of extra barriers for people moving, right after the new year may see better results. And what comes with the new year? New year resolutions! Hosting new years resolution groups can be a welcome way to increase traffic in your apartment community. Whether the group is looking for help to quit smoking, financial wellness, or weight loss, allowing these groups to use some common space means bringing in more people to see the property who wouldn’t otherwise. And if they aren’t looking to move today, maybe seeing the property will get those wheels turning. The vast majority of prospective residents are looking for their apartments online. And part of that includes reading reviews. This is a great time of year to take a fresh look at what the current Google, Yelp, or Facebook reviews look like for your community. Have the photos and general profile information been updated lately? While this apartment marketing idea is definitely a year-round one, it is much easier to update profiles, respond to reviews, and work with current residents to get fresh reviews on your profiles. Maybe even take the time to film some resident testimonial videos to post as well. Want to generate more traffic for your multifamily community? Go where the people are! There are obvious places like local ski lodges, ice skating rinks, or even holiday shops where there are an influx of people this time of year. Use those already fun places to use fun marketing ideas for your community. What sort of fun ideas? Give away hot chocolate or cider and get the name of your property out there in a positive, and warm, way. Don’t want to be outside? Sponsor fun indoor events like wine & canvas nights, cooking classes, movie screenings, etc. This is one of the more creative outreach marketing ideas for an apartment community in the wintertime. Winter may be cold, but it’s also a time of warm hearts and goodwill. Partnering with an appropriate and relevant nonprofit that your team and residents believe in can not only bring good things to the community, it can also work well to get the community’s name out to a different or new audience – who may be looking for a new place to move. Is your property pet friendly? Work with the local humane society to host a pet adoption fair. Or serve as a drop off point for clothes or canned goods for a local homeless shelter. Publicize the event to your lead list via email or through local radio or tv stations. Just because the weather outside is colder doesn’t make social media any less of a hotbed for apartment marketing. Use your social media channels to profile your property in new ways, showcase videos of warm amenities being used in the winter, post resident testimonials, highlight resident events, and more. While posting great content, it’s also a great time to throw a bit of money behind some social media ads driven at increasing your following and audience. Using these slower winter months to build your audience will set you up perfectly to engage with all of your new followers once things pick up and the weather turns warm. This may seem obvious; however, when it comes to apartment marketing ideas, the most beneficial and impactful thing to do is take the time to ensure you have proper processes in place to take an inbound lead to a signed lease. While having standardized processes that the entire team is well trained on will be especially important during the winter months, taking the time to fine tune and train on those processes while things are slow will only make them stronger and more ingrained for your team during the busy (warm) months. The above ideas are a great way to get leads in the door during the slower winter months, but using creative tactics to increase your lead to lease rate will keep the property humming all year round. There is no shortage of creative marketing ideas for apartment communities, most of which can be very useful in colder months. Focus on the ways your community is unique, use every tool available, and be sure to think outside the box. By implementing the right apartment marketing idea at your community, winter doesn’t have to put a freeze on success.